CAG was engaged by Cornwall Council in 2016 to develop a funding programme to support residents in the most deprived areas of Cornwall. 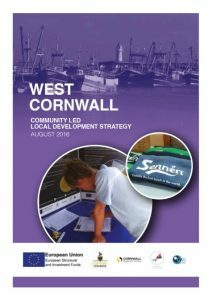 Community Led Local Development (CLLD) aims to provide pathways to better economic opportunities for people and businesses in the most deprived areas of Cornwall, strengthening local availability of employment, skills and training, and developing the ability of local residents to access these. This EU funded initiative provides training and business support. It seeks to encourage new ideas – new techniques, new technologies, new knowledge, new approaches – as well as apply existing ideas in new areas. Established a project website, Facebook page and twitter feed. We used the social media to promote the events, and on the website developed a “social wall” containing feedback and activities at the consultation events (using the CommunityledCornwall hashtag).